Your Digital Persona: Can It Be Inherited? Death is probably not one of the topics off your favourite list, least of all your very own death. But one day, you will have to face it. The more prepared you are the better for both you and your family. 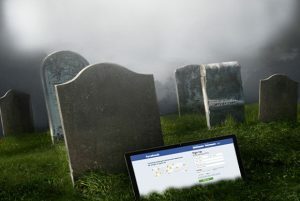 Of the number of things that your family will have to take care of is your virtual presence on social media sites; that is if you will not have left guidelines on what should happen. Failure to tie your virtual ends properly could result in the following possible situations. Identity theft is one of the most prevalent crimes in the world today. While the thief may not find it harmful to you to steal your identity upon your demise, your reputation is still on the line. This makes it imperative to have a trusted contact take care of your virtual presence or do it yourself when you are still alive. You may be having a completely different virtual personality from your physical world. In such times, you may not want your family to ever know the virtual persona that you had or the interactions that you had in this world. If, by chance, you die without having made this clear to these companies, you could face a situation where your kin get to have power over these accounts. There are a number of virtual commerce accounts that allow you to transact and even store funds in them. If they do not have a directive on how to handle your funds upon your demise, they may end up giving these funds over to charity after a stipulated time period has elapsed by their terms and conditions. To protect your reputation as well as your virtual legacy, it is important to prepare in advance for your departure.